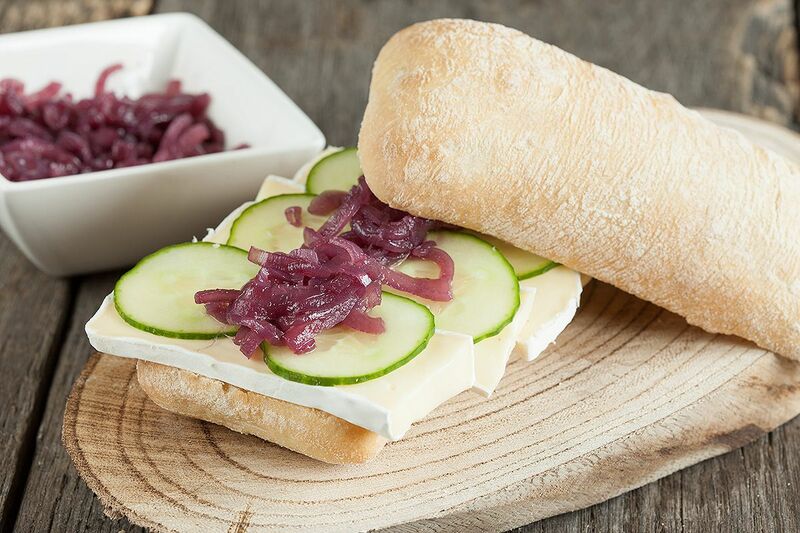 Delicious home-made red onion compote and brie sandwich, ready in less than 20 minutes. An absolute delicious lunch or breakfast recipe for one. SLICE the red onions into rings, slice the cucumber too and set aside. SAUTÉ the red onions in a small saucepan on medium-high heat, until softened. ADD two tablespoons of refined sugar, stir and turn down the heat to low. 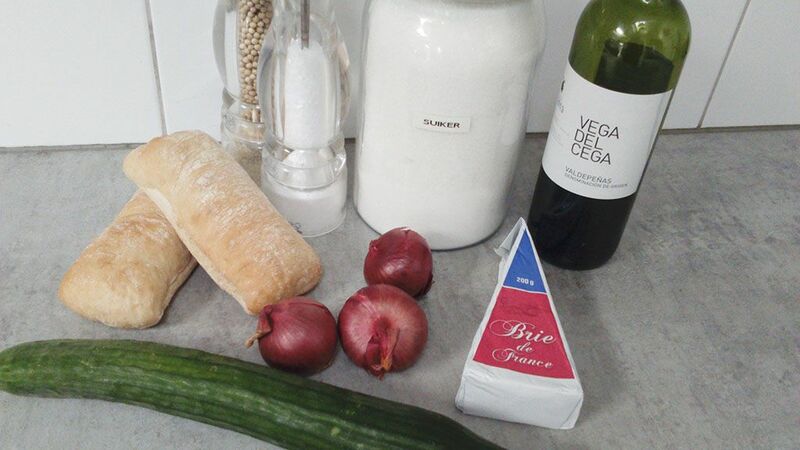 DEGLAZE with red wine, fill the small saucepan until the red onion rings are submerged. EVAPORATE moisture on low heat, until the onions are nice and soft. Kind of mushy, not too soft! 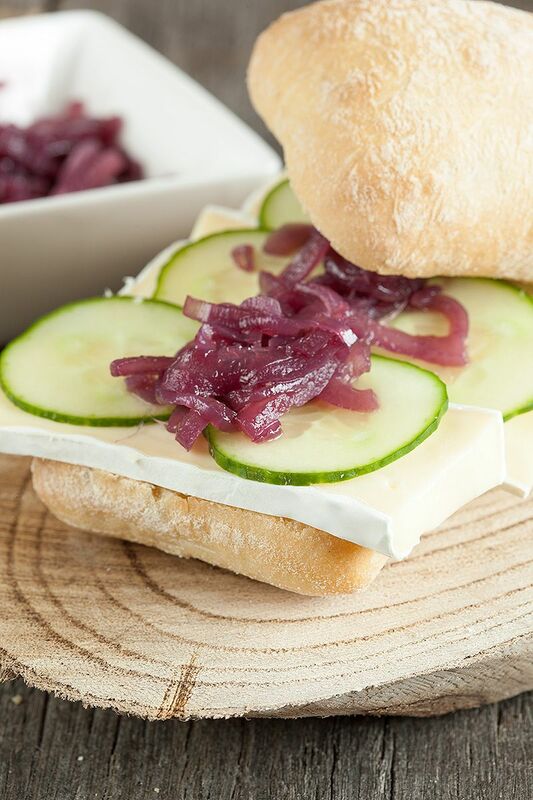 Now for the easy part: finishing up the red onion compote and brie sandwich. SLICE the brie into bite-sized slices. SLICE two breads in halves, add brie and cucumber slices. Top it off with the red onion compote, season with some salt and pepper, enjoy! Definitely a sandwich I will be making this week. 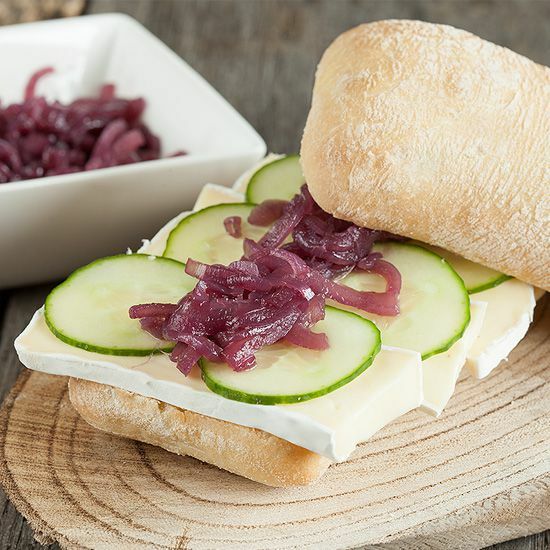 Love brie cheese.. especially when its accompanied by something as delicious as those soft red onions. This sandwich is delicious. We will be making them to serve at a wedding breakfast. We will use the little square bread 2″x2″ to make them bite size. We are excited to add this to our breakfast celebration!! That’s amazing Chris! Enjoy your wedding breakfast celebration!